One of my older fishes. 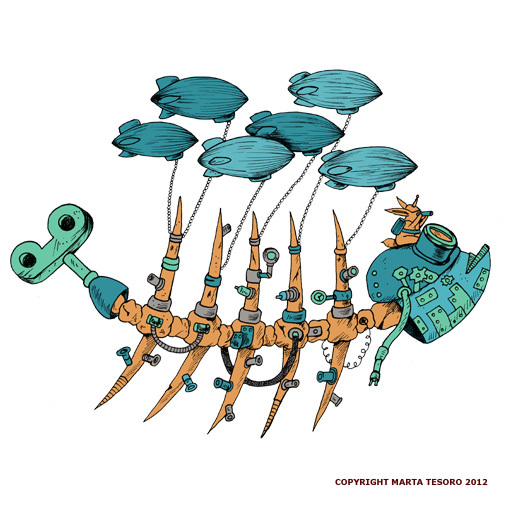 He's actually in my steampunk fish bone zine but he;s the only one I coloured thus far. No time to draw today, too busy figuring stuff out in Maya. oh man...I hope this gets easier. Every learning hurdle I come across is like pulling teeth out with a pair of pliers and then being smacked across the face with the tooth and the pliers. It's been a long day.